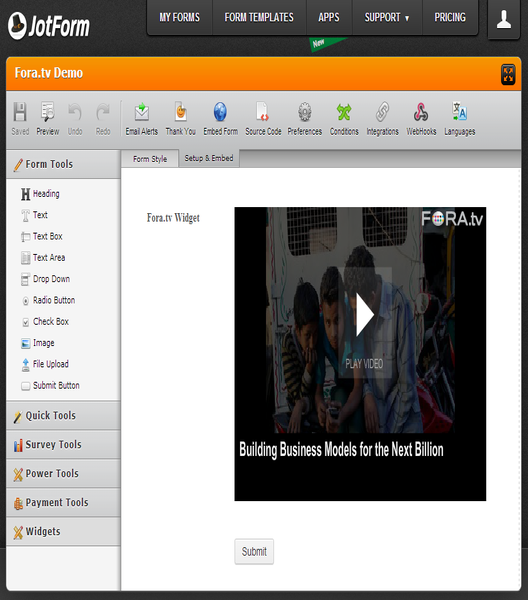 FORA.tv is the leading site for engaging video programs from conferences, summits, public forums, university debates and think tanks across the globe. 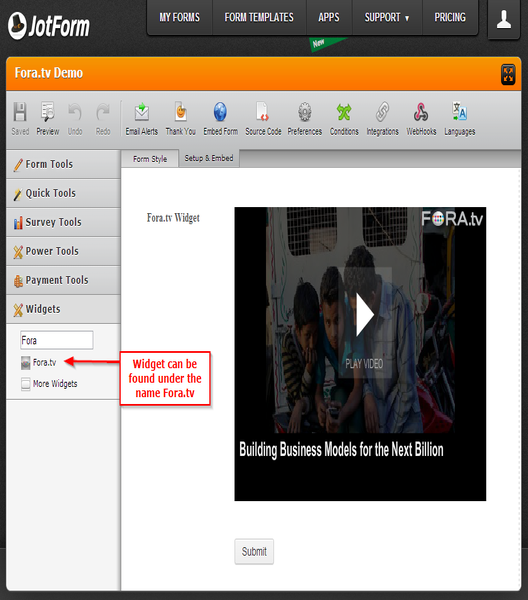 Now you can display Fora.tv video content directly on your form. 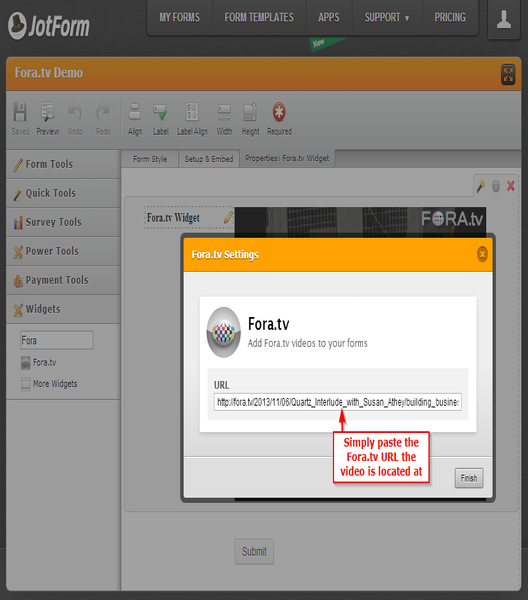 Just by pasting the Fora.tv video URL right on the widget.